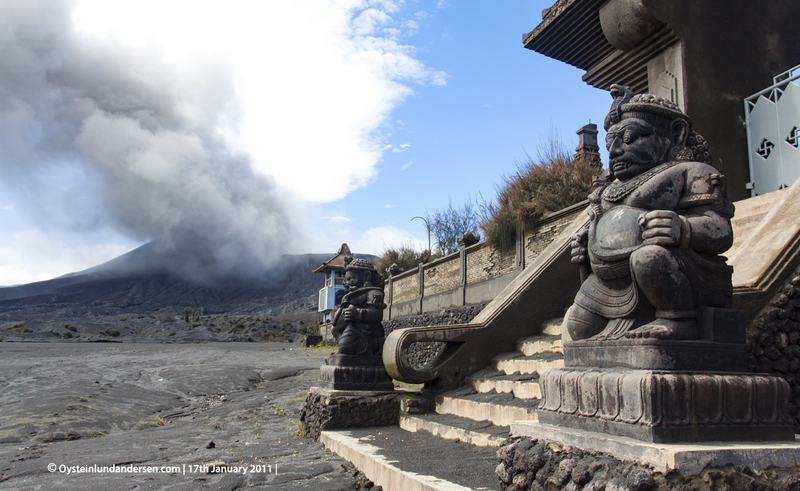 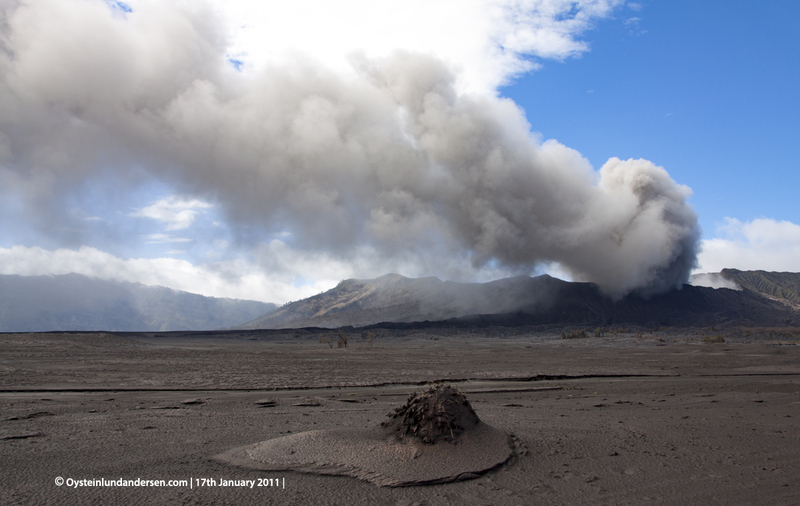 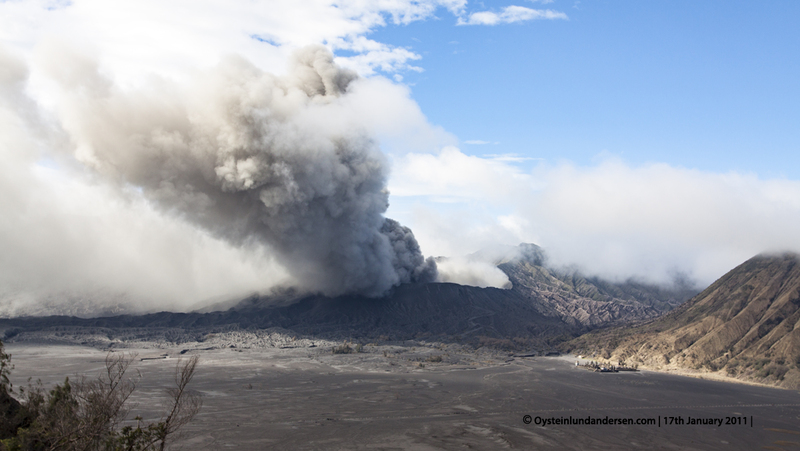 After my last visit to Bromo one month ago, the area was obviously more affected by ashfall now. 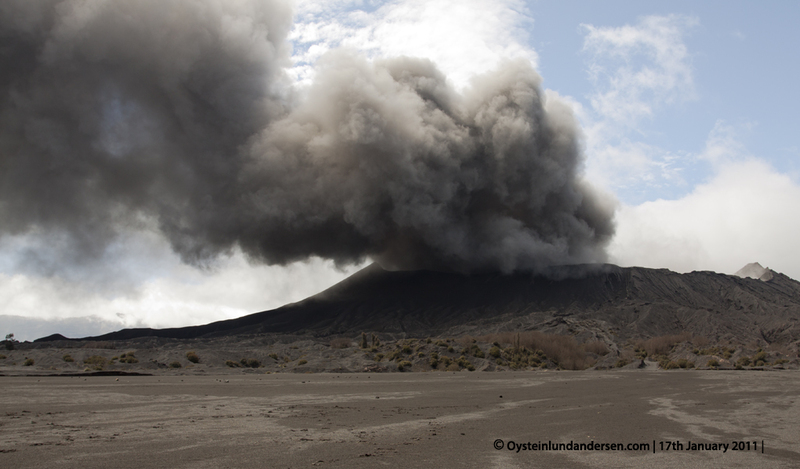 Most crops had failed and some houses had collapsed roofs, because of the weight of ashfall. 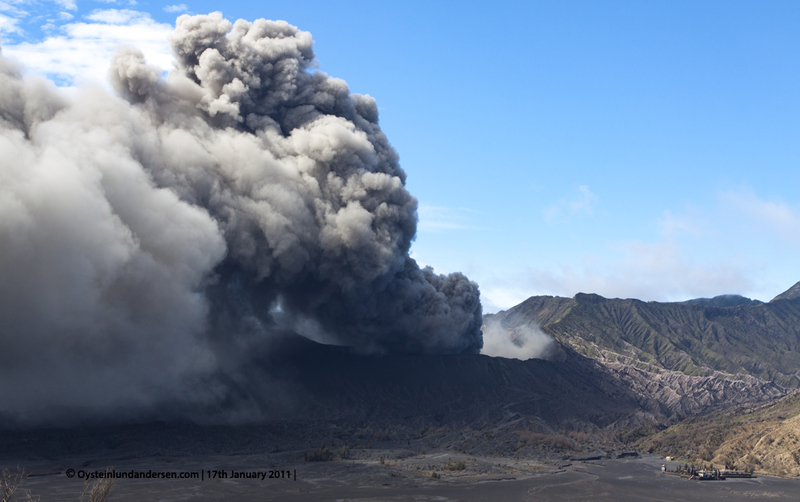 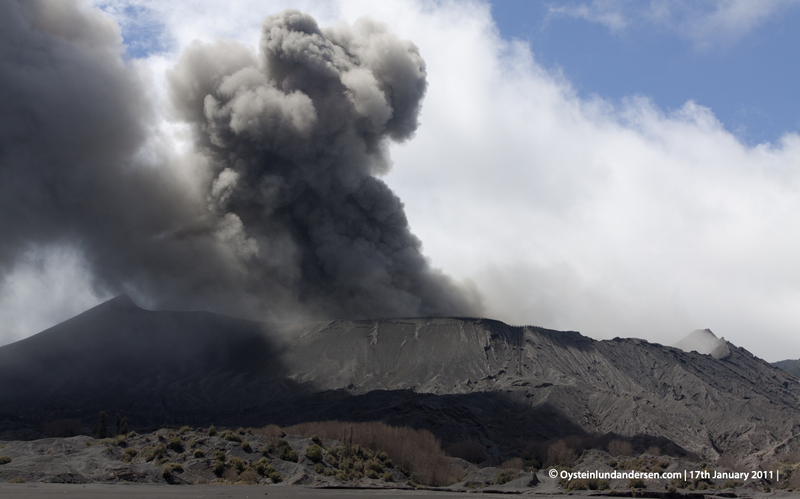 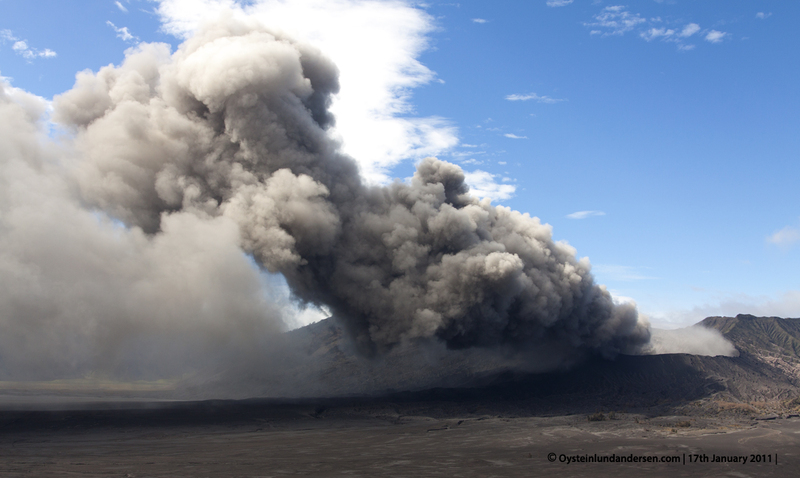 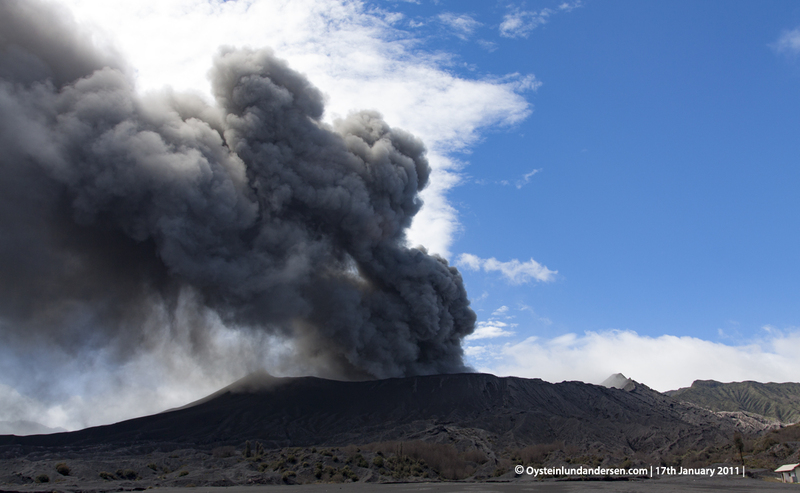 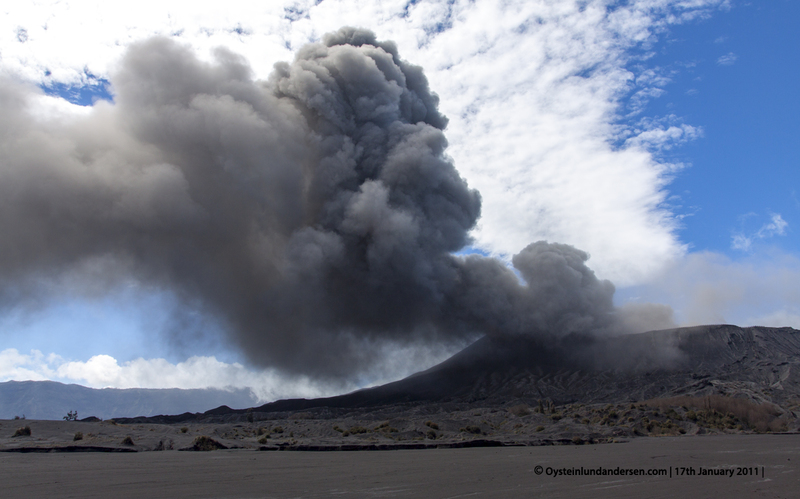 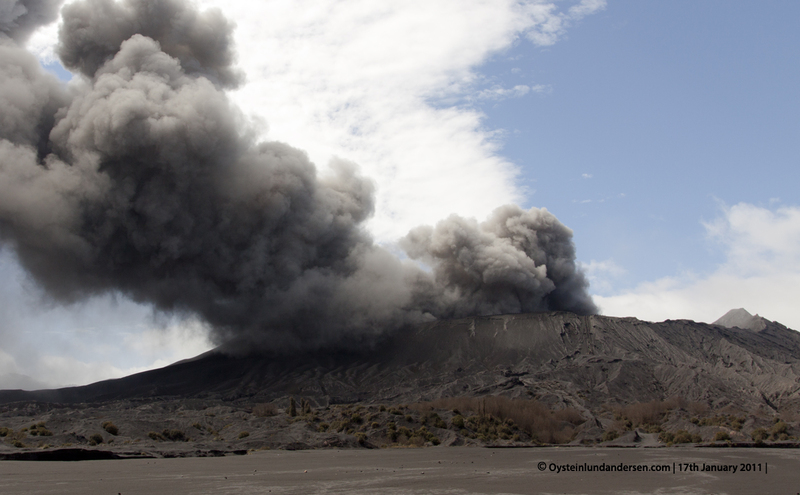 The volcano at this point gave of sound at certain points, followed by eruptions of ash. 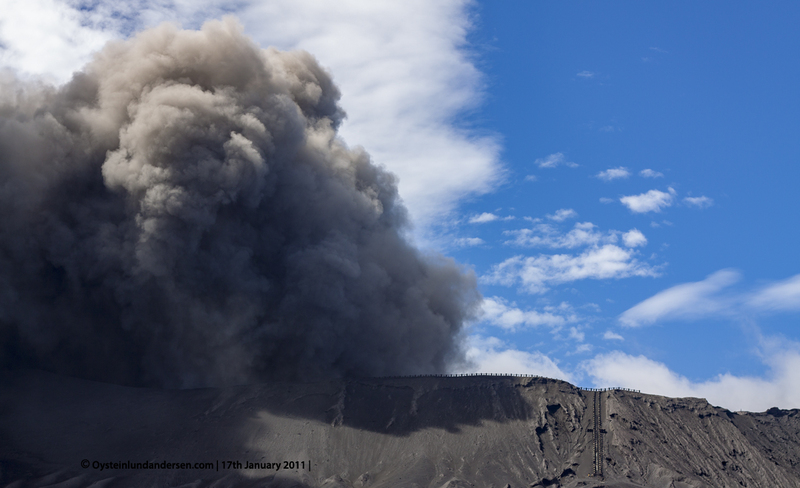 A sustained plume of ash created ash-fall in the city of Malang, southwest of the volcano. 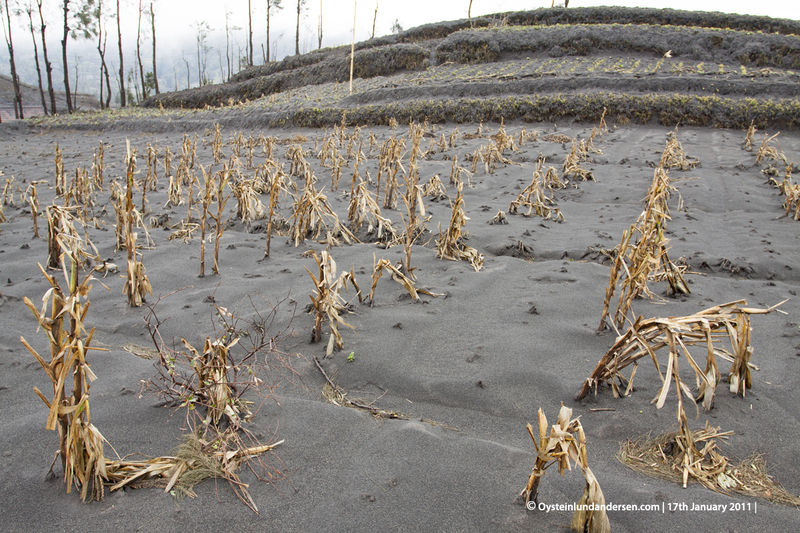 Crops destroyed due to heavy ashfall.